With this farm fresh Allstate, Retrospective proves once again its incredible ability to track down rare scooters. 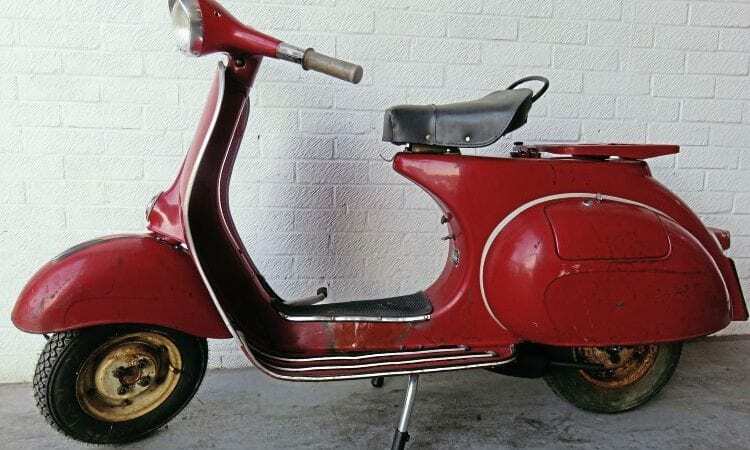 Looking back over the past 20 years Niall McCart, founder and owner of Walthamstow-based Retrospective Scooters, can recall some stunning original scooters that he’s stripped and restored or painted in non-factory schemes. 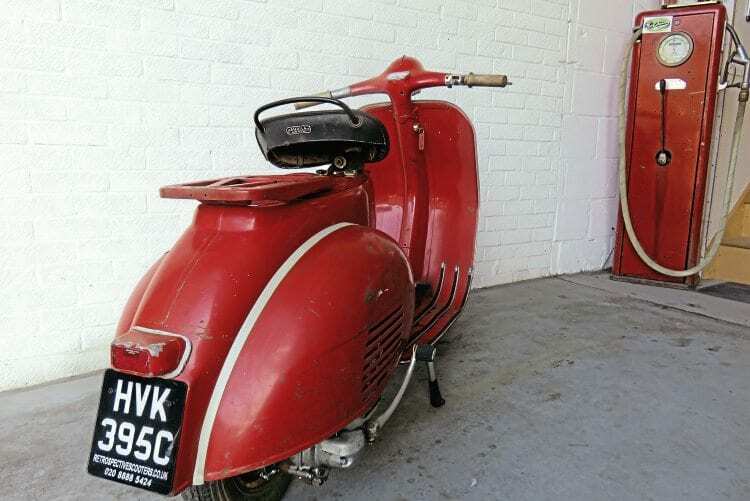 Thanks to our hostile climate and the misplaced attentions of scooterists over the years, few scooters that have been British registered from new survive. Ask any of the dealers who import scooters from the continent and they’ll confirm that good examples are getting harder to find. 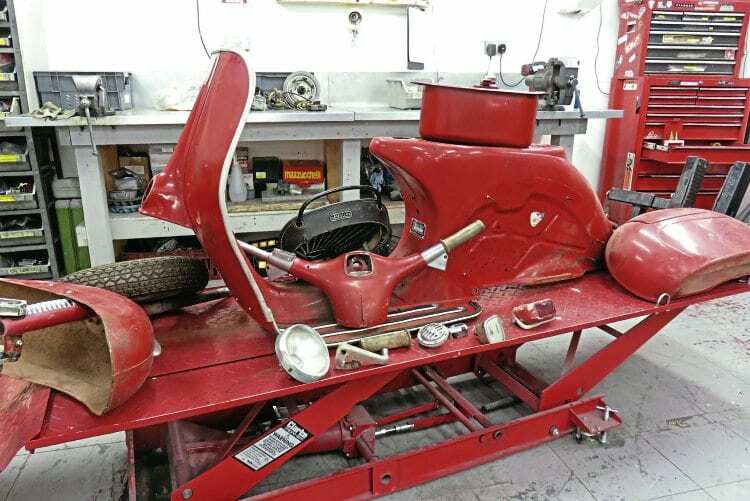 Fortunately when a customer approached Retrospective asking for a solid, original paint Vespa for daily use, just the right machine was already in stock. 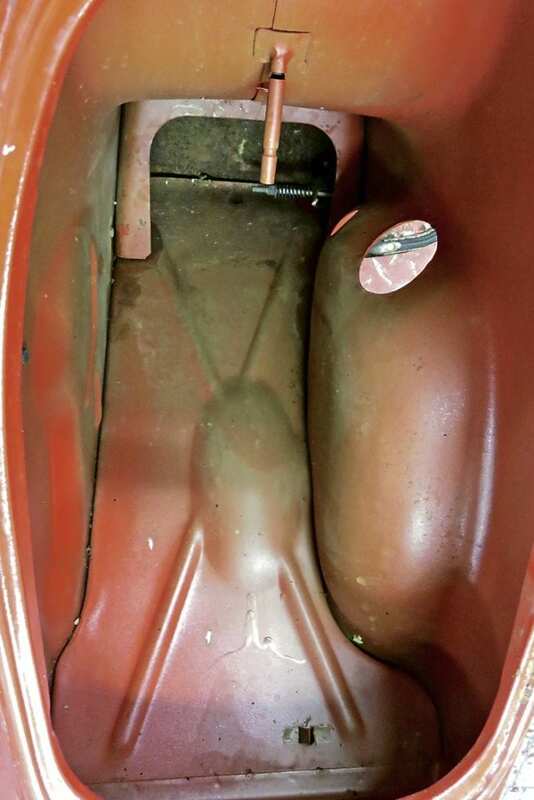 Hard to believe this is 50-year-old factory paint. 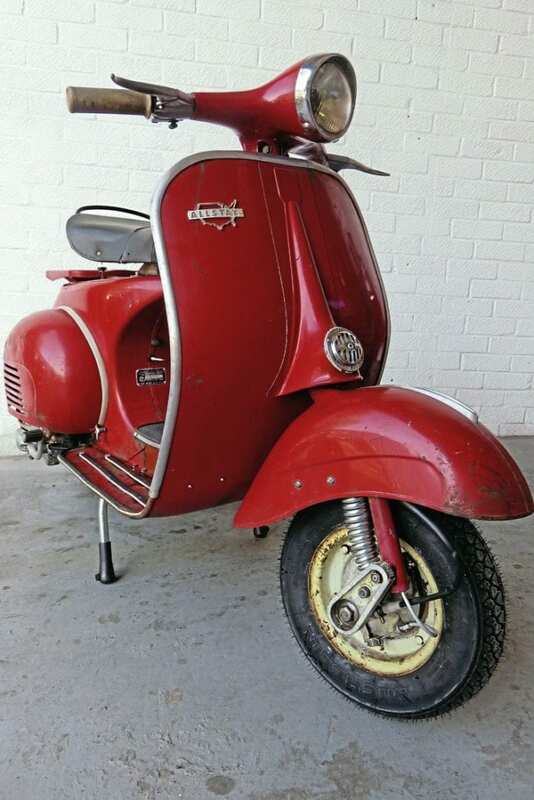 The first thing that’s obvious about this little Vespa is that despite it being a bonafide Italian product of Piaggio, it displays no sign of the Vespa brand. 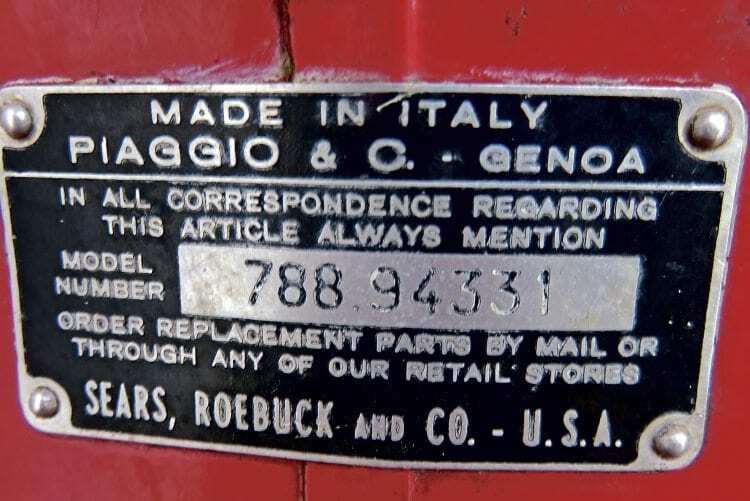 This is an Allstate, made to order for exclusive sale of Sears Roebuck in the United States. With a history dating back to 1880s, Sears remains one of the US’s largest retail outlets but it was by catering to the needs of rural communities that the company made its fortune. Prior to the advent of the Sears catalogue, rural communities were at the mercy of local traders who were free to set high prices for a limited range of goods. 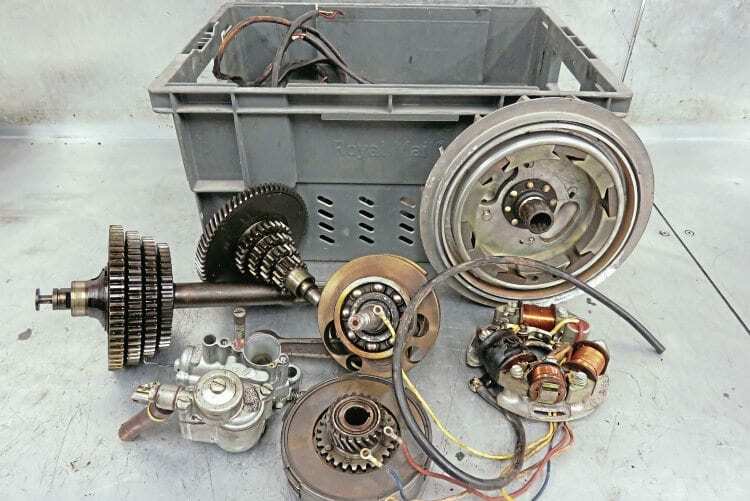 Sears offered a wide range of products at set prices, all delivered direct to the customer by mail order. 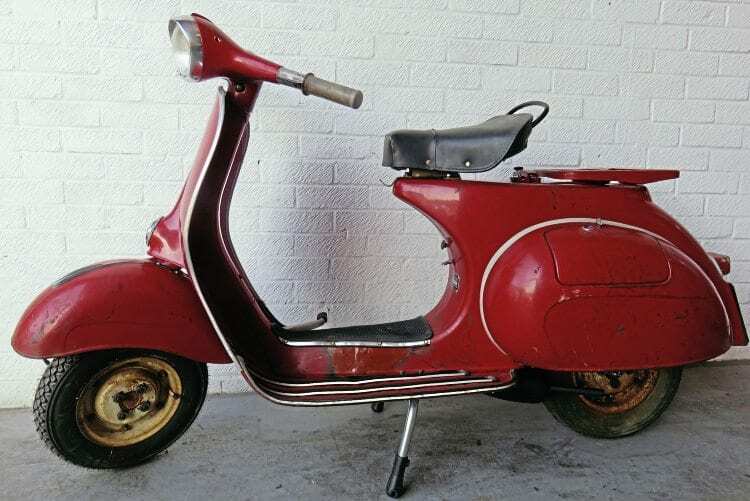 The catalogue included everything from clothes to motorcycles, including the Allstate Vespa. 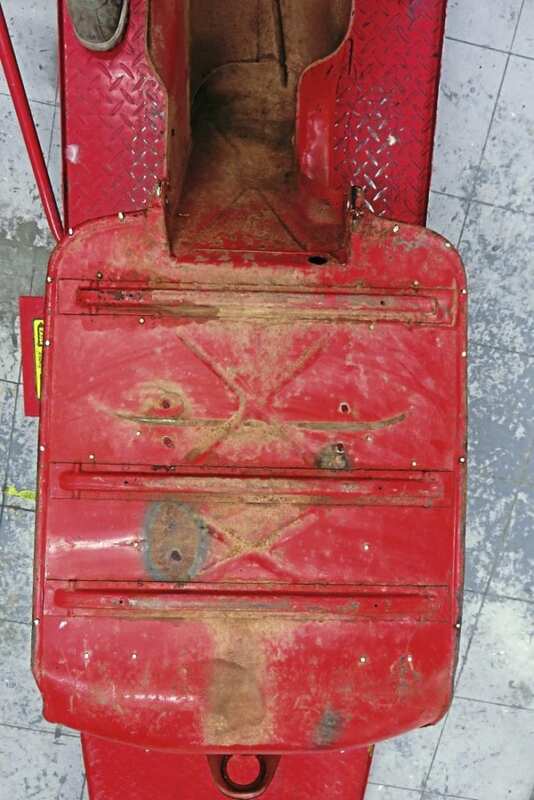 The benefits of dry storage. Having spent most of its life in the US Mid-West, the Allstate’s found a new home in the North East UK. The climate may be different but this little Allstate looks set to cut a dash for many years to come. This particular Allstate dates from 1965 and is visually similar to the Italian VNB4/5/6 but as Niall explained there are several differences from its Italian cousin. Most appear to be cost cutting measures. 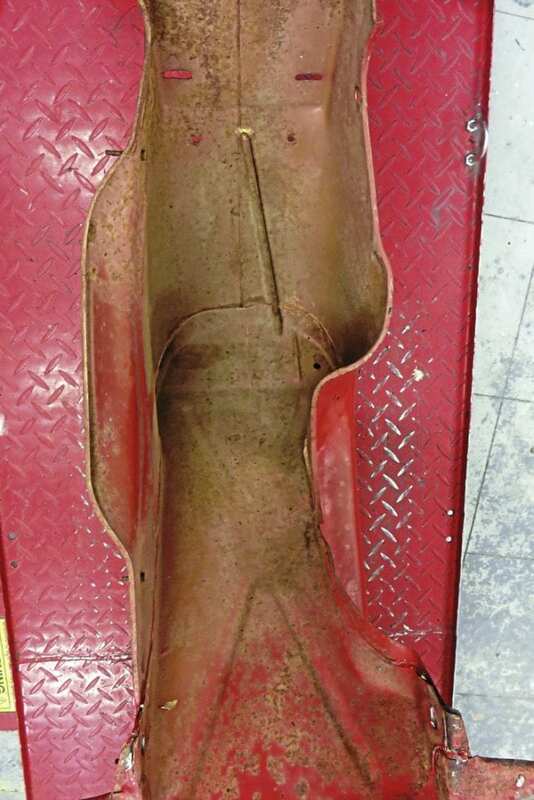 • The front fork has no damper and appears to be taken from the early 1950s ‘Model U’. 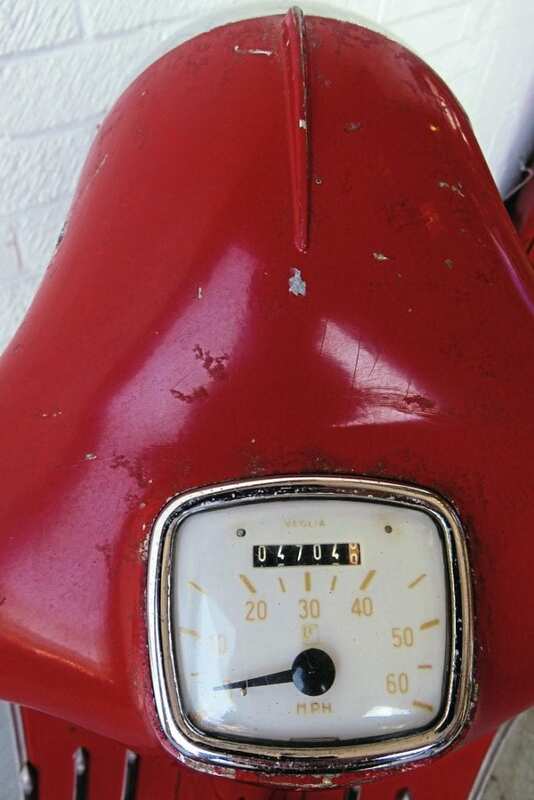 • Early style tail-light, rectangular shaped and painted, again from a mid-1950s Italian Vespa. • The electrics were completely different to the VNB. 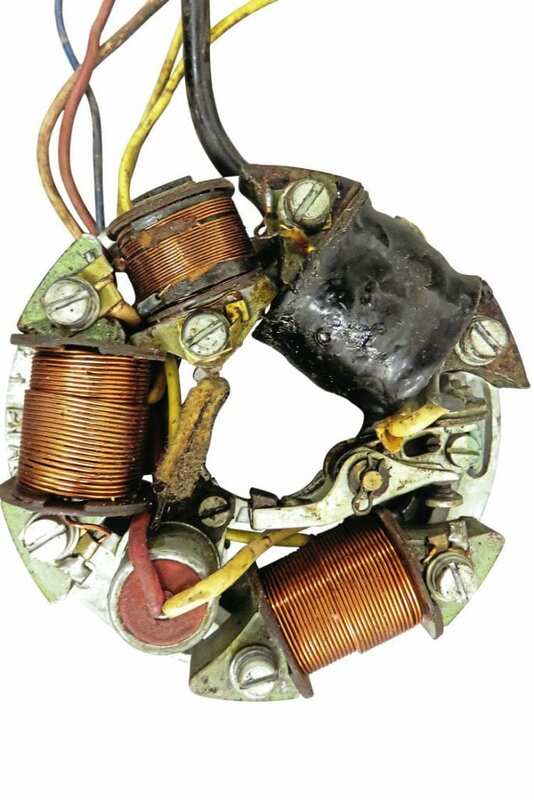 In common with export models Niall’s seen from Scandinavia and Australia, there was a very small extra lighting coil on the stator plate that powered the brake light. The other two lighting coils join together to run the main lights and horn. Similar to a battery system and with battery style switches, yet no battery was ever fitted. • An unique leg shield badge with ‘Allstate’ in an outline map of the USA, and a plaque below the fuel tap with ‘Sears Roebuck and Co’. 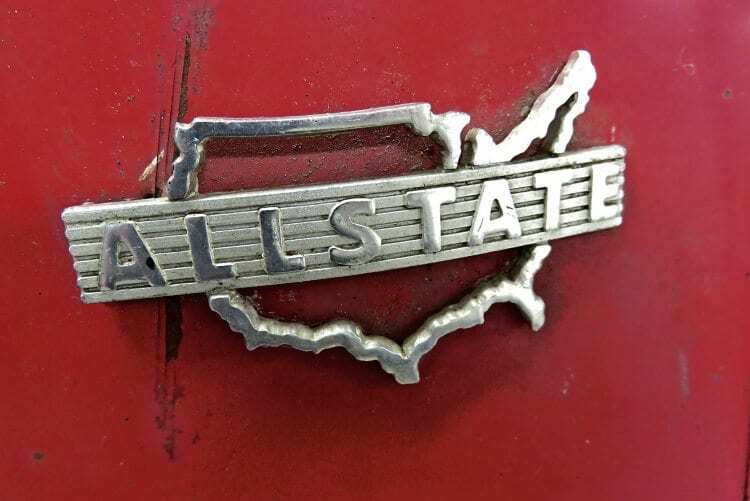 There was no horn casting badge on this model although earlier versions feature a square ‘Allstate’ badge in the usual location. • Most Allstates seem to be red with white wheels. Niall has seen the occasional white frame but these appear to be scarce. • Number plate mountings are adapted to accommodate US style licence plates with elongated fastening holes.